The Autodesk Revit Architecture Online Training Program is designed to teach you the Autodesk Revit functionality as you would work with it throughout the architectural design process. You begin by learning about the user interface and basic drawing, editing, and viewing tools. Then you learn how to build a 3D model with walls, doors, windows, floors, ceilings, stairs and more. Finally, you learn the processes that takes the model to the construction documentation phase where you learn to create sheets and annotated views using dimensions, text, and tags as well as working with schedules. 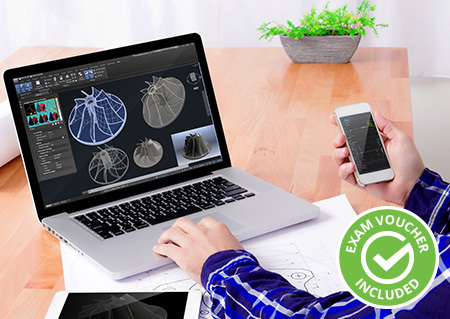 This program uses Autodesk certified curriculum will give you all the skills you need to prepare for the Autodesk Revit Certified User exam. 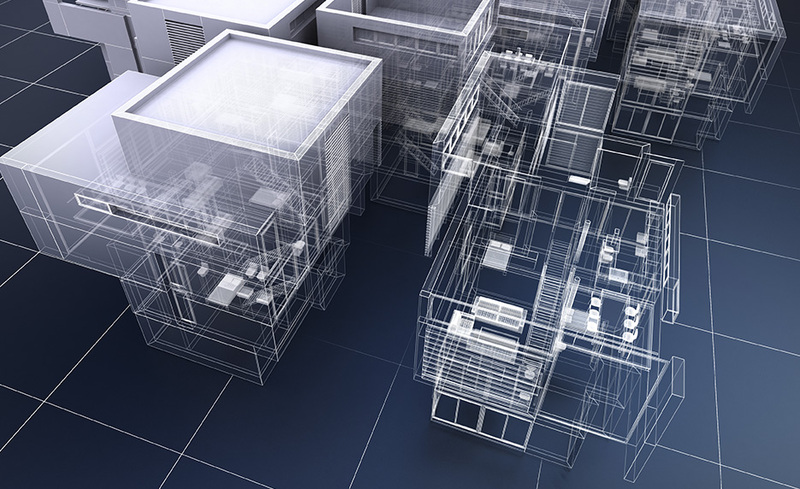 The Autodesk Revit Architecture Online Training course is designed to teach you the Autodesk Revit functionality as you would work with it throughout the architectural design process. You begin by learning about the user interface and basic drawing, editing, and viewing tools. Then you learn how to build a 3D model with walls, doors, windows, floors, ceilings, stairs and more. Finally, you learn the processes that takes the model to the construction documentation phase. The online content in this program is heavily focused with hands-on exercises where students are required to use their installed software as well as downloaded files to learn and practice their new skills. Upon registering, you are given six months to complete the program. As a student you can also download a free version of the Autodesk Revit 2018 software that provides a 3-year student version license. Please note that ed2go cannot extend the software license for Autodesk Revit 2018. The Autodesk Revit 2018 student software license cannot be used in a commercial environment. 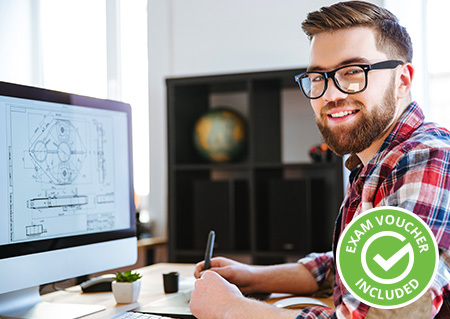 Once you have completed the Autodesk Revit Architecture Online Training Program you will have learned the functionality that is required for the Autodesk Revit Architecture Certified User exam. Proctor fees may apply, which are not included. Martha Hollowell holds a B.Sc. in Architecture from the University of Virginia. She worked in architectural firms and then moved to consulting and training with a focus on CAD (Computer Aided Design) and BIM (Building Information Modeling). She currently designs and develops both online and print curriculum for the Autodesk line of building design and construction software products. As a subject matter expert, she focuses her development efforts working specifically with Autodesk Revit creating content for architecture, structure, mechanical, electrical, plumbing, and landscape design. Martha has always enjoyed teaching and passing her knowledge and interest in architecture on to her students. She is an Autodesk Revit Architect certified professional. Additionally, you must have a computer that is capable of running Autodesk Revit 2018 (see system requirements for more details). As a student you can also download a free version of the Autodesk Revit 2018 software that provides a 3-year student version license. Please note that ed2go cannot extend the software license for Autodesk Revit 2018. The Autodesk Revit 2018 student software license cannot be used in a commercial environment. 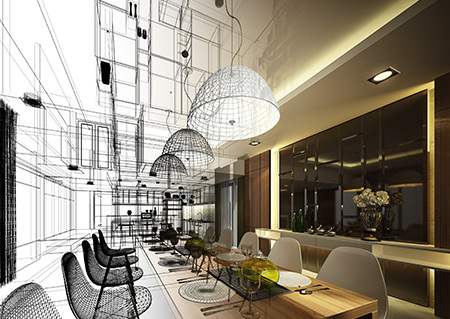 Yes, you will be prepared to sit for the Autodesk Revit Architecture Certified User exam.